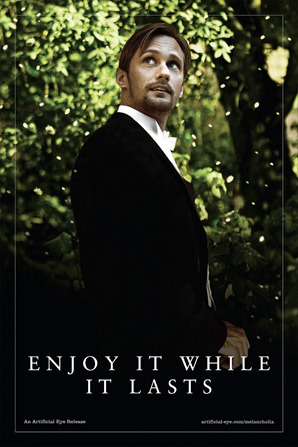 Enjoy it while it lasts. 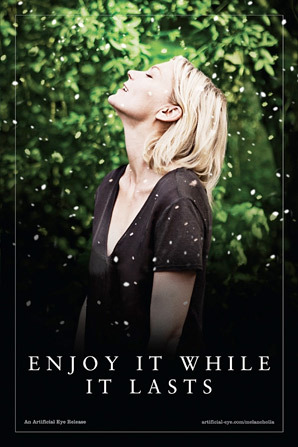 Someone out there was listening to my rants about the lackluster posters for Lars von Trier's Melancholia. 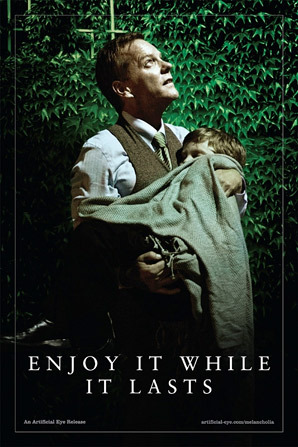 A new set of character posters for the indie drama have been released via Empire, and there are five for the main characters in the movie, and one for Lars von Trier himself. Yes, von Trier, persona non grata from Cannes, gets his own character poster, complete with his personalized stamp in the corner. There's also individual posters for Kirsten Dunst, Charlotte Gainsbourg, John Hurt, Kiefer Sutherland and Alexander Skarsgård. I really like this series, these are actually good - check them out! 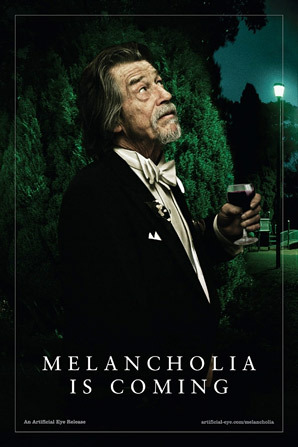 Melancholia is both written & directed by controversial/brilliant Danish filmmaker Lars von Trier, of films like Medea, Dancer in the Dark, Dogville, The Boss of It All and Antichrist most recently. 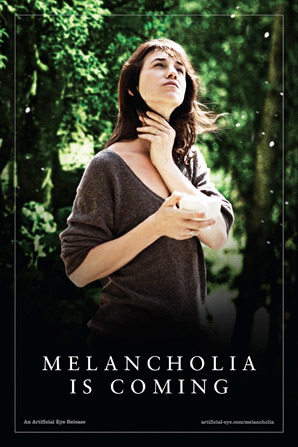 Magnolia Pictures will be distributing Melancholia in the US later this year, and has officially set a November 11th theatrical release, as well as On-Demand starting October 7th. Visit the website. Watch the full theatrical trailer here. 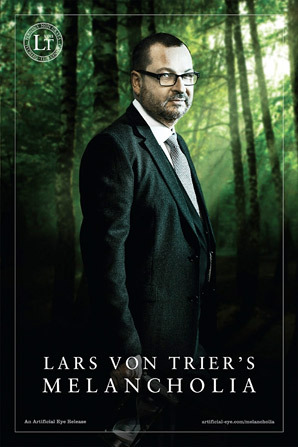 BAHAHAHAHAHAHAHAHHHAAH ONLY LARS VON TIER! ONLY HIM!!!! I HAVE NEVER SEEN A CHARACTER POSTER SET THAT INCLUDES SOME ONE THAT ISNT A CHARACTER IN THE FILM. BAHAHAHAHAAHAHHAHHAHAHAHAHAHAHAHAHAHA love it.